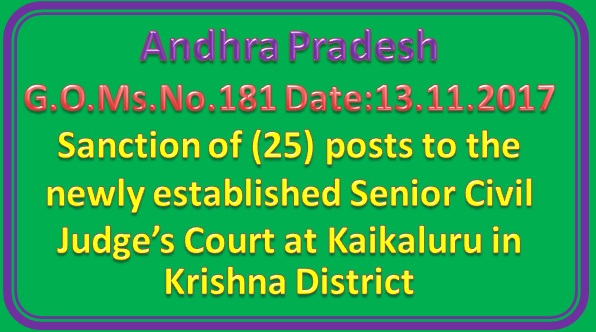 HOMEDEPARTMENT– Sanction of (25) posts to the newly established Senior Civil Judge’s Court at Kaikaluru in Krishna District – Orders – Issued. 1. Home Department U.O.No.1030(P)/Courts.A/2014, dated:19.05.2017. 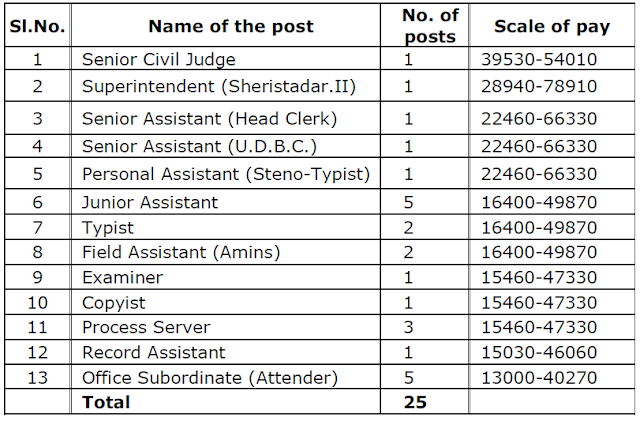 In the reference read above, the HomeDepartment has sent the proposals for sanction of (25) posts to the newly established Senior Civil Judge’s Court at Kaikaluru, Krishna District. 2. 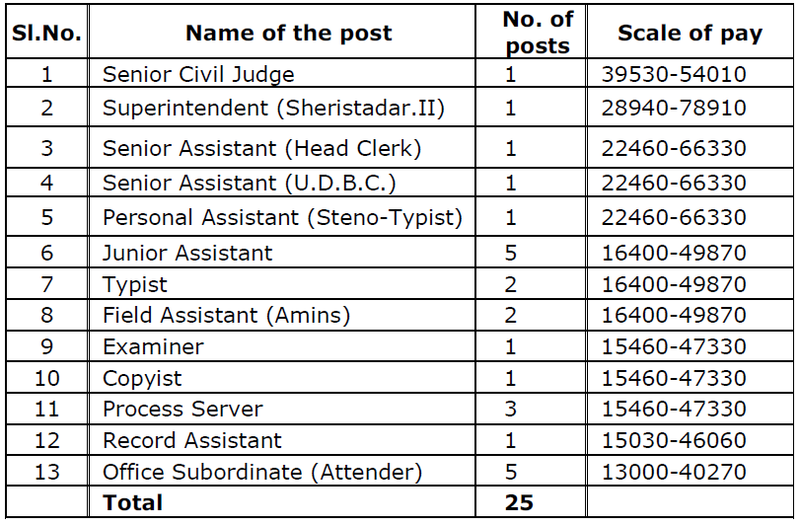 The Government after careful examination of the proposal hereby accords sanctionfor the following (25) posts to the newly established Senior Civil Judge’s Court at Kaikaluru in Krishna District. 3. The Home Department shall take further necessary action in the matter accordingly.